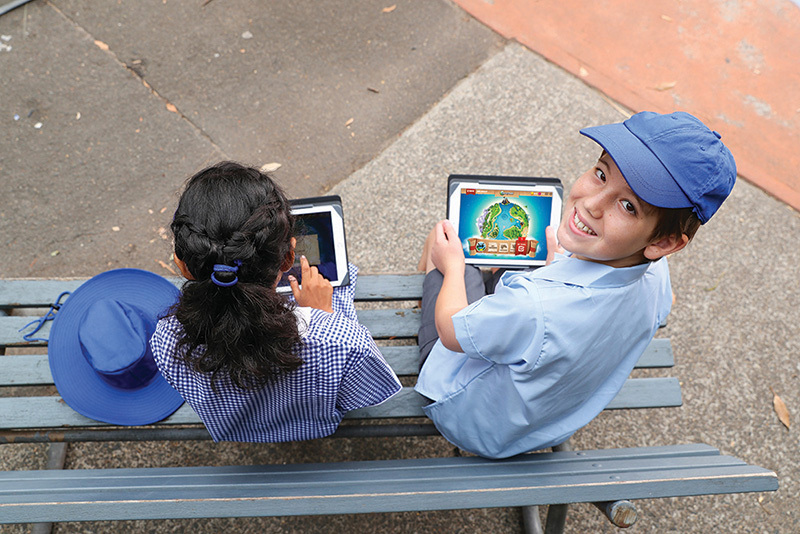 LiteracyPlanet’s reputable brand of evidence-based, curriculum-aligned content and cutting-edge digital technology has been proven to be an effective way to develop literacy skills in pupils. A major research study from PricewaterhouseCoopers (PwC) analysed scores and usage levels of pupils using LiteracyPlanet’s digital programmes from January 2016 to January 2018, meticulously investigating 500 million rows of data to see what is working well. PwC analysis found LiteracyPlanet to be effective at improving the literacy outcomes for pupils of all levels. To see how LiteracyPlanet affected the scores of students PwC divided the scores into four equally proportioned groups based on their average score in the first month of use. PwC found pupils ranked in the bottom 25% of scores after the first month of use recorded significant levels of improvement in line with the number of exercises they had completed. Data showed that after just 30 LiteracyPlanet exercises the gap in average scores between the pupils in the bottom 25% and the next best group was reduced by over 70%. Pupils who have poor literacy skills when they started using the program saw the biggest improvement in their scores overtime. PwC analysis also found that the more exercises a pupil completed, the higher their average score. This strategy was most effective when pupils were below or at their year level. These findings suggest teachers with students who are currently underperforming compared to their year level can expect to see significant improvements in the pupil’s average score, simply by assigning them easier LiteracyPlanet exercises. Want to learn more about what LiteracyPlanet can do? Simply click the button below to get in touch with with one of our helpful Literacy Development Managers and they’ll be able to run you through the statistics behind the statements.